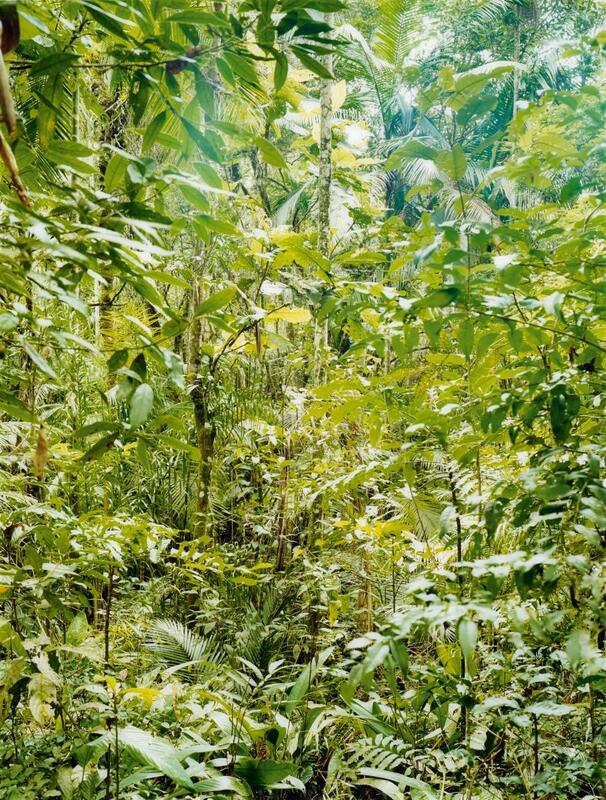 Next to his well known Street and Museum Photographs, Thomas Struth has been taking pictures of forests in different parts of the world since 1998. By giving these images the title New Pictures from Paradise he has endowed them with a special meaning as pictures of nature before the Fall of Man. 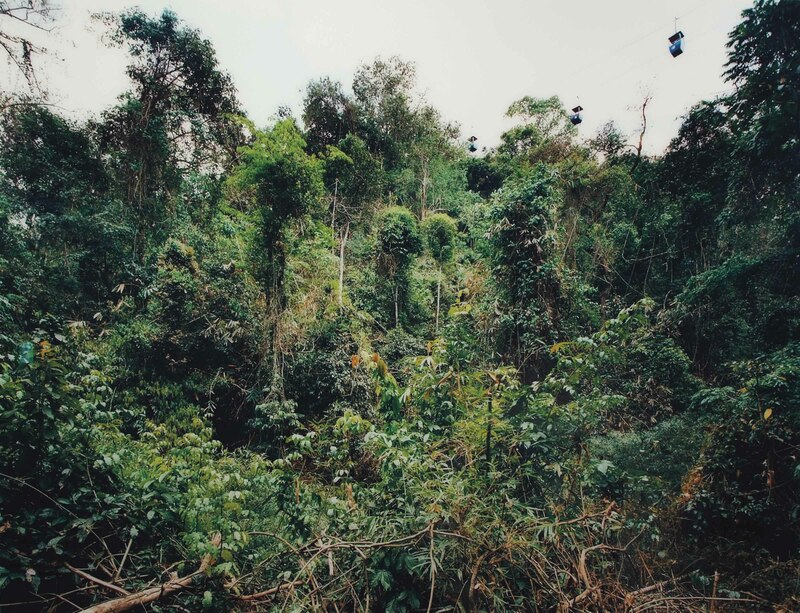 His attention focuses on wild nature while at the same time referencing and questioning representations of paradise throughout history and cultures. 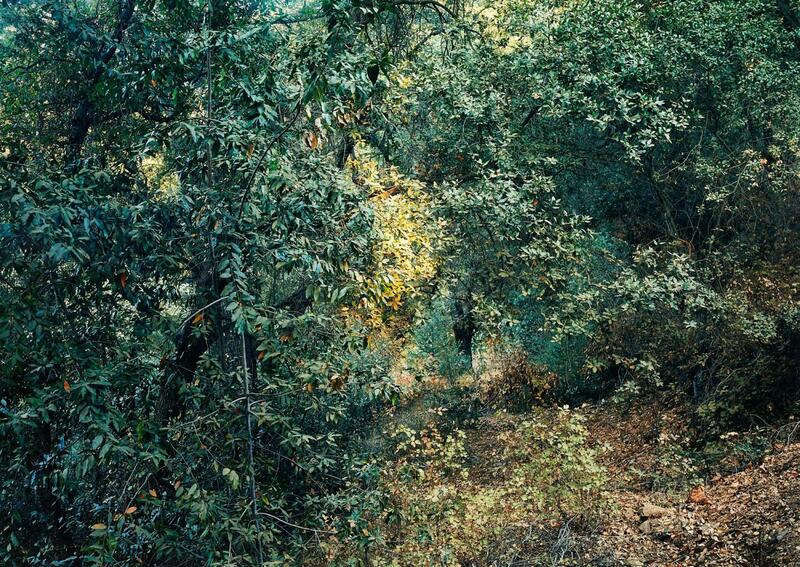 In most of these photographs, Struth doesn’t allow our gaze to penetrate the depth of the image. Trees, branches and leaves create a dense texture that prevents us from seeing the horizon and the depth of the landscapes, which can only be guessed. Without hierarchically structuring the picture, its entire surface is crisscrossed all over and covered by plant forms – reminiscent of the lines in paintings by Jackson Pollock and Brice Marden. 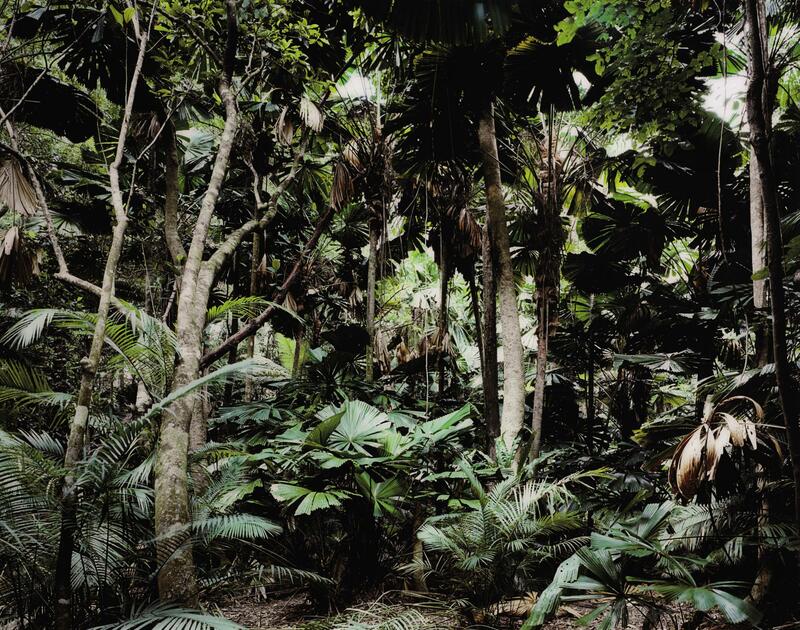 Struth’s jungle pictures mark the beginning of a different approach to the way the surface of photographic images captures our gaze, sending it in different directions. 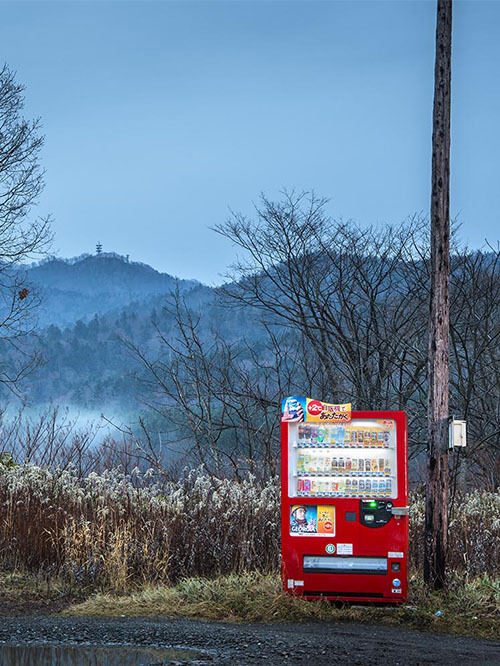 Thanks to their richness of detail, the images present a kind of silence that can be listened to for a long time before one can get to know its rules. 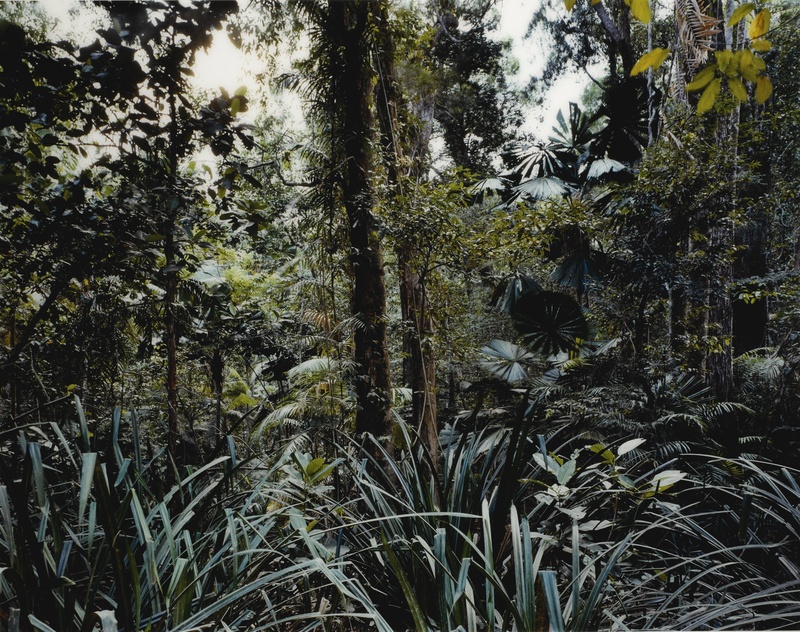 From the first documentary portraits of families to the cityscapes, to the museums and up to the harmonic chaos of the jungles, Thomas Struth’s photographic eye has traveled the world finding new ways of representing its complexity, trying to capture the presence of the unconscious in the visible. My approach to the jungle pictures might be said to be new, in that my initial impulses were pictorial and emotional, rather than theoretical. They are “unconscious places” and thus seem to follow my early city pictures. These images contain a wealth of delicately branched information, which makes it almost impossible, especially in large formats, to isolate single forms. One can spend a lot of time in front of these pictures and remain helpless in terms of knowing how to deal with them. There is no socio-cultural context to be read or discovered, unlike in the photographs of people in front of paintings in museums. Standing in front of the facade of the cathedral in Milan, one experiences oneself as a human being defined by specific social and historical conditions. 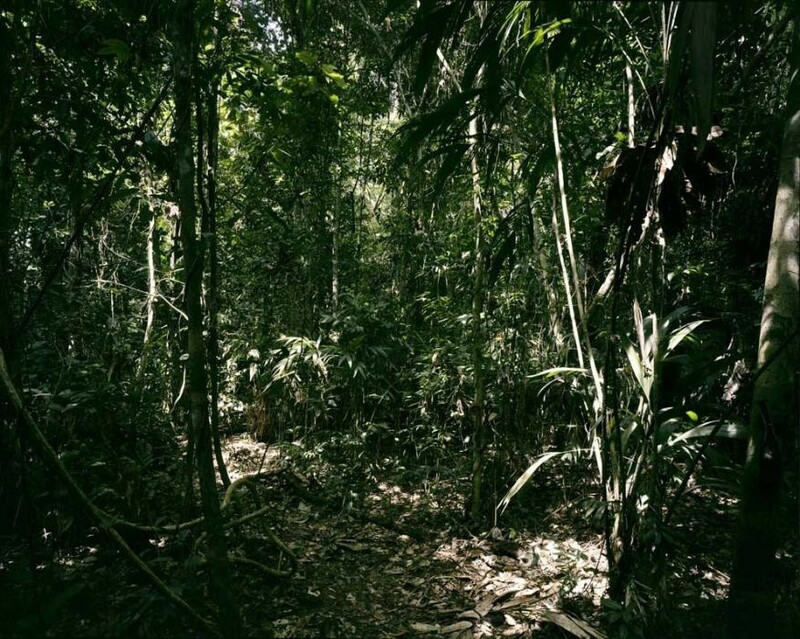 The jungle pictures, on the other hand, emphasize the self. Because of their consistent “all over” nature, they could be understood as membranes for meditation. They present a kind of empty space: emptied to elicit a moment of stillness and internal dialogue. You have to be able to enjoy this silence in order to communicate with yourself—and eventually with others. 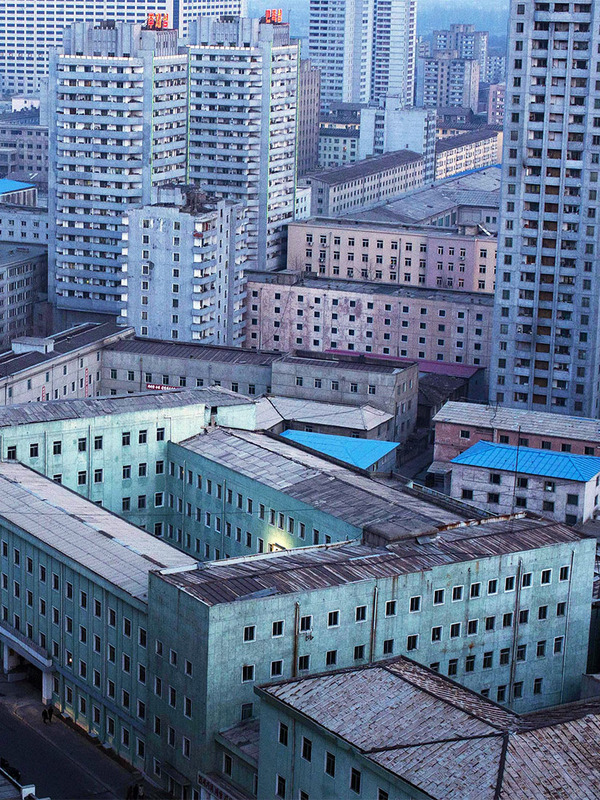 Thomas Struth is one of the leading artists in contemporary photography. Born in Geldern near Cologne in 1954, from 1973 to 1980 he studied at the Düsseldorf Academy as a student of Gerhard Richter and then Bernd Becher. By the end of the Seventies, he started to explore the possibilities of photography as psychological research. Since 1978 he takes pictures of urban landscapes, from 1980 he photographs museum visitors looking at paintings, thus exploring the different relationships between painting and photography, art and the viewer. Later he worked on a broader range of subjects, always working in these groups. Since his first museum exhibition at Kunsthalle Bern in 1987, his work has been shown extensively in museums throughout the world. In 2003 the Metropolitan in New York staged a large retrospective, and recently he had exhibitions at the Prado in Madrid in 2007 and at the Museum Madre in Naples in Spring 2008. His works are in the collections of MoMA and the Metropolitan Museum in New York, the Tate Gallery in London, the Museum of Modern Art in Tokyo and Kunsthaus Zurich among many others. Posted on August 7, 2013	in the category Photography and tagged 1998, 1999, 2005, 2007, Düsseldorf, façade art, photography, Thomas Struth. 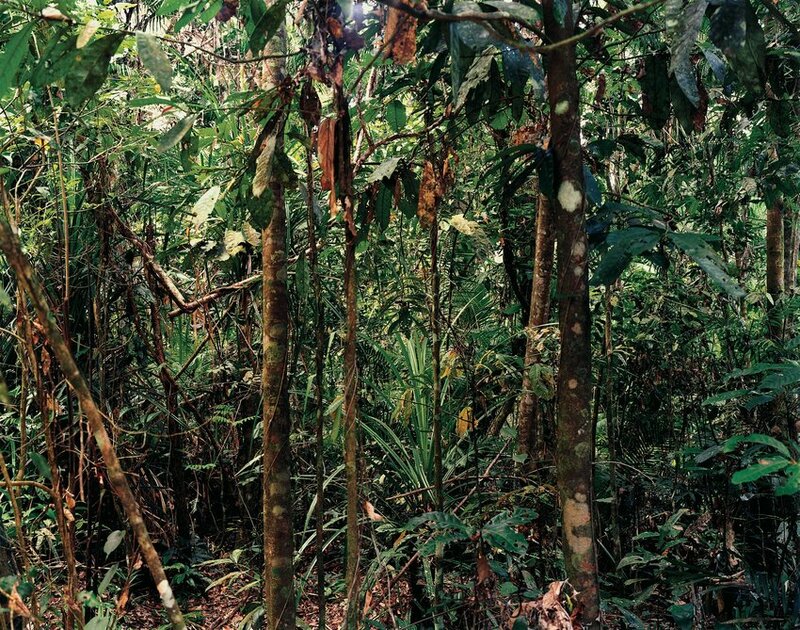 2 Responses to "Thomas Struth’s jungle photos may make you feel helpless"